It’s a silent danger in Alberta homes and it’s the leading cause of lung cancer about non-smokers. Original story here. 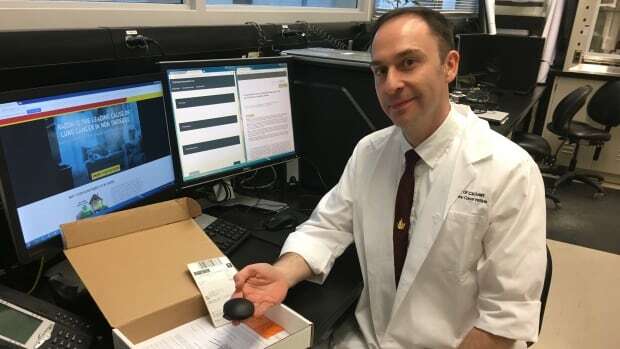 University of Calgary researchers believe dangerous levels of radon gas could be found in one out of every eight homes in the province but a new program is looking at better understanding radon and ways to evict it. Gordon McIlwain’s neighbours found high radon levels in their basement and that prompted him to test his own home. Health Canada guidelines state radon levels over 200 pose a serious health risk and requires immediate remediation. Radon is a naturally occurring radioactive gas common in Western Canada. It seeps up from the underground, normally it’s harmless but when it gets inside homes, it becomes concentrated and that’s where the danger lies. U of C researchers are hoping to get a better picture of what’s happening in Alberta homes. Homeowners sign up, buy a detector kit for $60.00 and put the puck in the basement for 90 days. They also have to fill out a confidential questionnaire and mail it off to the lab and within in a few weeks, the results will tell you how much radon is in and around your home and all that has to be done to fix the problem is drill two holes in the foundation. McIlwain has seen the problem in his home get a lot better. After a week, radon levels are down to just 40. It’s hoped the study will also give insight into risk factors both in home design and geography. They know newer, larger homes are more likely to trap radon gas and taller homes are likely worse off than bungalows. Winter is the best time to peak for levels and remediation has a public health benefit by preventing lung cancer. Remediation costs somewhere around $1,500.00 to $2,000.00.